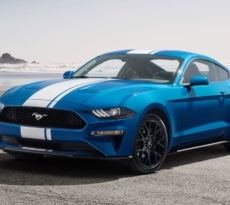 The 2020 Shelby GT500 Mustang is making its auto show rounds since its world debut in Detroit, and its latest pitstop was at the Chicago Auto Show. 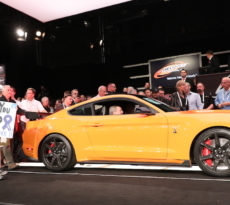 This time the next GT500 was also on display at the “First Look for Charity” black tie event before the show officially opened to the public. 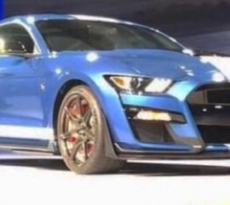 The photos were captured by M6G members in attendance at the event, showing the GT500 in Performance Blue and providing us another close look at the wheel/brake caliper clearance, rear wing, splitter, paddle shifters and more. 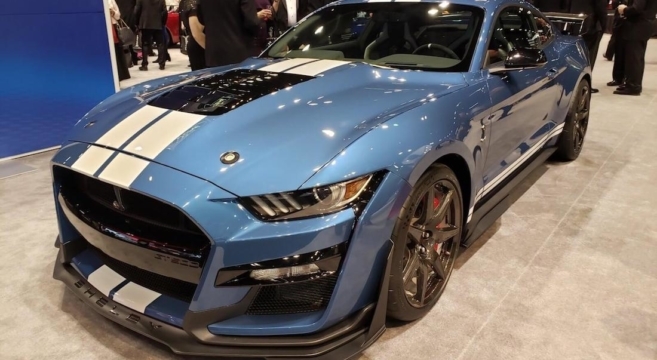 Check out the 2020 GT500 Mustang photos from the Chicago Auto Show charity event.